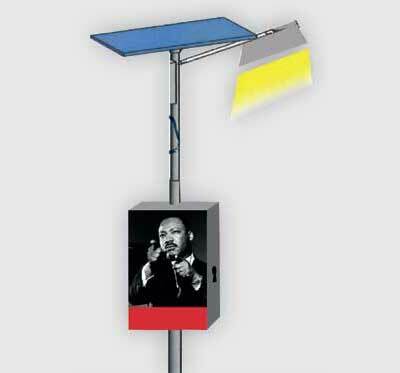 The island street lamp powered by solar energy. It is a separate light source with an optional advertising space. The lamp contains high quality LEDs, developed and manufactured in Czechia. It´s main advantages are saving energy, easy maintenance and possibility of use in areas without mains connection. The lamp is available in two variants. One and two reflector version.